We deal in World Class Premium CCTV equipments which comes with unparallel quality and service back up which results into minimal after sales requirements. We believe that our excellent quality products can allow you to concentrate on everything else except surveillance which is automatically taken care of by our CCTV Cameras. Our complete range of CCTV Security Camera includes analog, Network-IP, Dome, Mini Dome, Bullet, EXIR, PTZ, Fisheye Cameras with WDR(Wide Dynamic Range), Auto Focus, Zoom, IR options, Digital Video Recorder, Network Video Recorder, Accessories, Camera Housing etc. Video surveillance systems that supports remote access through Internet making it convenient for you to monitor on cell phones, tablet, iPad, Mac or Window PCs using web browser, android and ios. Our well trained technical team constantly strives to provide the best customer service & technical support in the industry. We also provide the most competitive pricing possible for our services. Best results can be achieved only if the cameras are installed by professionals. 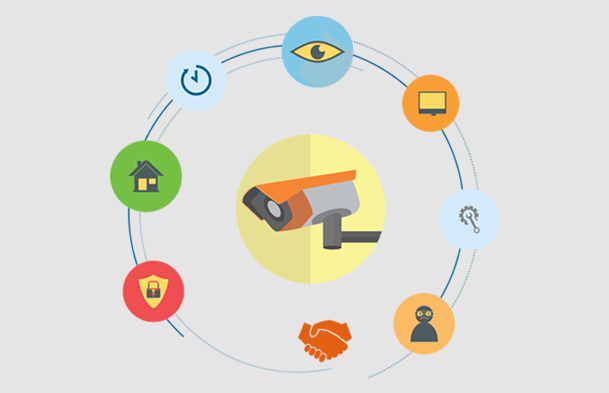 In approximately 73% cases, CCTV footage is not considered by law enforcement agencies after an incident due to low quality of the photo / CCTV footage or camera not picking desired field of view making it absurd for the facial recognition defeating the basic purpose of installing the CCTV and making your investment insignificant. We strongly recommend use of good quality cameras and recorder installed by technically qualified professional/s. We know each customer have different choices of colors. We tailor theme development as per the request which can appeal and give pleasant look and feel while working. Our customer support executives are very enthusiatics. They listen to our valued customers patiently and provide effective solution in best possbile time frame. Customer satisafaction is top priority for us. Our training program uses best practices to train our customer to utilize product which is built on latest technologies, trends. We will transfer necessary knowledge and skills to work effectively in the electronic security and video surveillance sector.